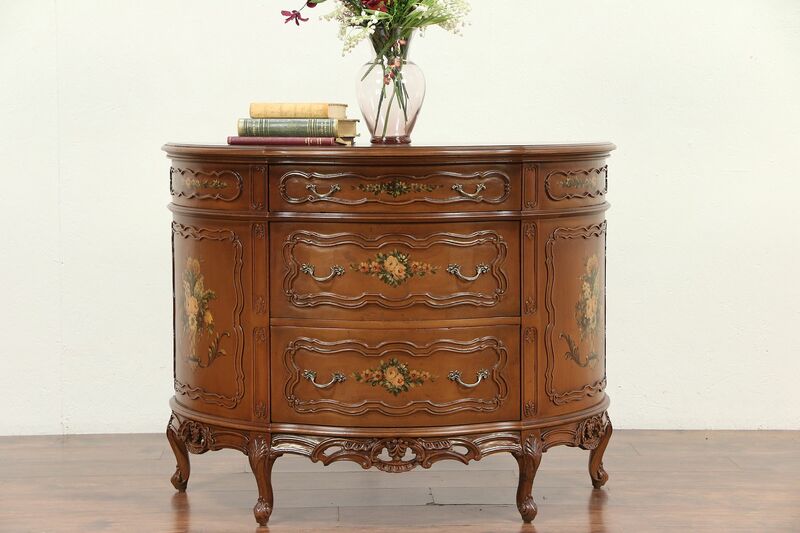 A graceful half round or "demilune" sideboard or hall console cabinet was carved of solid maple about 60 years ago. Hand painting is original, no maker's signature survives. The restored finish is in excellent condition on this American made vintage furniture. Drawers have solid oak sides, dovetail joints and original pulls. Measurements are 44" wide, 20" deep and 34" tall.